Cay in South Park, originally uploaded by Nigel Stewart. 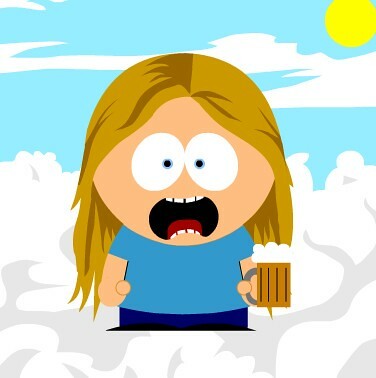 Cay's students at Brentwood created this using the German South Park Studio. Note the brewskie and the fact that she's in heaven which the kids razz her about since she's an atheist. This page contains a single entry by Nigel published on April 23, 2007 7:33 PM. The Orient was the previous entry in this blog. Digg has messed with my dugg list (UPDATE -They BANNED me) is the next entry in this blog.